The world’s major central banks have agreed to a new set of guidelines for the foreign-exchange market, creating a road map for how individual countries’ regulators should protect client information. The document, which is expected to be made public this week, is a response to revelations last year that traders at large banks were sharing information about their clients’ positions. In 2013, U.K. regulators launched a wide-ranging probe on the matter that later spread to the U.S. and Switzerland and concluded with $4.3 billion of fines levied on six banks in November. Representatives from the foreign-exchange committees of the Federal Reserve Bank of New York, the Bank of Japan and the Bank of England among others have signed off on an eight-page document that explicitly bans traders from sharing client identities and information and disclosing data that could allow someone to deduce that information. “FX market participants should not share information with each other about their trading positions or individual trades with clients or other FX market participants beyond that necessary for the execution of a transaction,” according to the document, which was reviewed by The Wall Street Journal. Moreover, it would be the banks’ responsibility to implement policies which control communication between traders. These policies should “require their personnel to refrain from passing on information that they know or suspect to be misleading,” according to the document. Some exceptions would be permitted. Canadian GDP, US Consumer Confidence, Trade Balance and important employment data including ADP Non-Farm Employment Change and the all-important Non-Farm Payrolls. Join us as we explore the top events of this week. Last week, US labor market continued to improve with a decline in the number of jobless claims, reaching 282,000. Robust job creation and better employment conditions have strengthen the labor market spurring growth. However, the final GDP release for the fourth quarter of 2014 slightly disappointed remaining unchanged at 2.2%, below the 2.4% forecast. Despite a 4.4% jump in consumer spending, the economy shrank at an annual rate of 2.1% in the first quarter due to severe winter storms. Nevertheless, economists forecast stronger growth in the coming months, as the labor market continues its positive expansion trend. Canada GDP: Tuesday: 12:30. The Canadian economy expanded 0.3% in December, exceeding analysts’ expectations for a 0.2% gain. The reading was preceded by a 0.2% contraction in November. On a yearly base, GDP edged up 2.5% in 2014. The annual growth rate in the fourth quarter reached 2.4%, below the 3.2% posted in the third quarter. Household spending continued to be the main force in the Canadian economy increasing consumption expenditure by 2.0% on an annualized basis. Exports of goods fell 2.5%, exports of crude oil declined 6.5% and exports of refined petroleum products slumped 36.3%. Economists forecast a 0.2%growth rate in January. US CB Consumer Confidence: Tuesday, 14:00. Consumer confidence declined more than expected in February reaching 96.4 from 103.8 in January. Economists expected a smaller drop to 99.6. Current declined to 110.2 from a revised 113.9 in January. Consumer outlook for the next six months dropped to 87.2 from a revised 97.0. Consumers were less optimistic about job prospects. However, despite the lower figures, the general level show positive trend. Consumer confidence is predicted to reach 96.6 in March. US ADP Non-Farm Employment Change: Wednesday, 12:15. U.S. private sector gained 212,000 jobs in February following an upwardly revised reading of 250,000 in the previous month. The release was below expectations. The manufacturing and the services sectors improved the most. However, despite the weaker job gain, the private sector’s outlook remains bright. Analysts expect a 231,000 job gain in the US private sector for March. US ISM Manufacturing PMI: Wednesday, 14:00. US manufacturing sector weakened in February, dropping 0.6 points to 52.9. The reading was worse than the 53.4 points forecasted by analysts, however, the reading remained above the 50 point line, indicating continued growth. New orders fell 0.4 points to 52.5 while factory activity dropped from 56.5 in January to 53.7. Manufacturing employment also slipped from 54.1 to 51.4. Manufacturing exports continued to contract in February to 48.5, while imports softened, from 55.5 to 54. US manufacturing PMI is expected to reach 52.5 this time. US Trade Balance: Thursday, 12:30. The U.S. trade deficit narrowed in January to $41.8 billion amid weakening in exports and imports. The 8.3% fall was broadly in line with market forecast. Imports contracted due to lower oil prices and labor strikes disrupting shipping of goods. Exports fell $5.6 million to $189.4 billion while imports dropped $9.4 billion to $231.1 billion. However, domestic production increased due to low oil prices and petroleum imports fell 23% to $17.7 billion. The U.S. trade deficit is expected to contract further to $41.5 billion. US Unemployment Claims: Thursday, 12:30. The number of Americans filing initial claims for unemployment benefits declined more than expected last week, reaching 282K after a 291,000 addition in the prior week. The 9,000 drop continues to suggest an ongoing improvement in the US job market despite the recent volatility due to the harsh weather, softer global demand and the strong dollar. The four-week moving average fell 7,750 to 297,000 last week. The number of jobless claims is expected to reach 285,000 this week. US Non-Farm Employment Change and Unemployment rate: Friday, 12:30. U.S. job creation strengthened in February rising 295,000 and lowering jobless rate to a more than 6-1/2 year low of 5.5%. Job gain was stronger despite harsh weather conditions disrupting activity. The report supported the Fed’s rate hike move planned in June. Average hourly earnings edged up by three cents and further gains are expected. The participation rate in the US labor market has been steady at a 5-1/2 year high of 59.3%. US private sector is expected to gain 251,000 positions while the unemployment rate is expected to remain at 5.5%. The Dollar came dangerously close to a nasty speculative spill this past week. The fundamental developments coming out of the U.S. economy may continue to undermine the long-term bullish outlook for USD/JPY as recent headlines point to a growing dissent within the Federal Open Market Committee (FOMC). 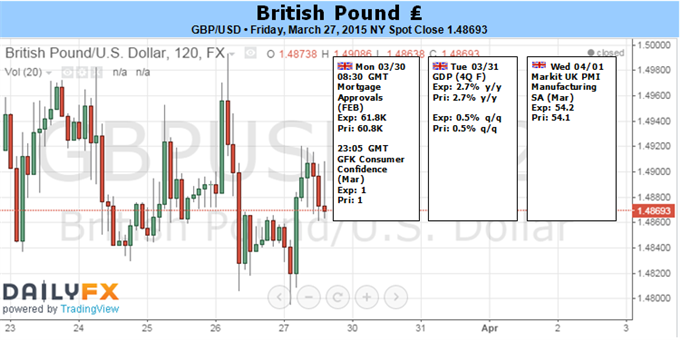 The British Pound fell for the third week of the past four versus the US Dollar, hurt by disappointing economic data and generally dour trading sentiment. The Australian Dollar is at the mercy of risk appetite trends in the week ahead as Greece fights to secure bailout funding and payrolls data informs Fed rate hike bets. Gold prices are higher for a second consecutive week with the precious metal advancing 1.48% to trade at 1199 ahead of the New York close on Friday. The Nikkei as you can see went back and forth during the course of the week involving quite a bit of volatility. That being the case, we ended up forming a negative candle, so it looks like we may pullback from here. If we break down below the ¥19,000 level, we could fall as low as ¥18,000 again and look for support. On the other hand, we break out to the upside we should then head to the ¥20,000 level. Either way, we don’t have any interest in selling this market. The DAX as you can see spent most of the week falling, but found enough support at the €11,600 to turn things back around and form a hammer. The hammer suggests that the market is going to continue to find buyers just below, and as a result we are buying short-term pullbacks. As far as longer-term moves are concerned, we need to find enough support in order to go long for any significant amount of time. The market is a bit overextended though, so would not surprise us at all if this market simply went sideways. The NASDAQ as you can see fell during the course of the week, testing the 4800 level. That being the case, the market looks as if it is ready to try to find support in this general vicinity, but at this moment in time we feel that the market isn’t quite ready to be bought yet. We may have to find the signals off shorter-term charts, but ultimately we believe that breaking above the 5000 level is necessary in order to start going long with any type of significant confidence off of this chart. Gold markets as you can see rose during the course of the week, testing the $1220 level. That being the case, the market pullback and formed a little bit of a shooting star like candle. If we can break down below the $1180 level, we feel that the market will then test the $1140 level. Ultimately, we have to wonder whether or not the $1140 level is a bit of a double bottom waiting to happen, so we don’t necessarily think that the markets going to break down below there. Ultimately, if we break the top of the shooting star, we should then go to the $1300 level given enough time. 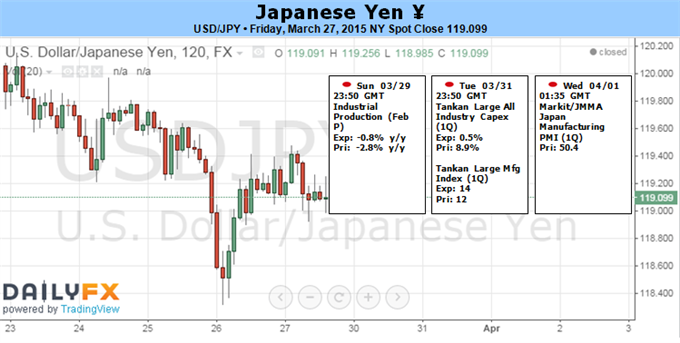 The USD/JPY pair fell during the course of the week, testing the 118 level at one point. That being the case, the market did find buyers though, and we did bounce enough to form a little bit of a hammer. We believe that if we can get above the 120 level, we would be buyers and recognize that the market should continue to go to the 122 level, and then possibly the 125 level after that. Even if we break down below the bottom of the range for the week, we feel that the market has plenty of support all the way down to the 115 level. The USD/CAD pair fell initially during the course of the week, but found enough support at the 1.24 level to turn things back around and form a hammer. The hammer of course suggests that the markets going to go much higher, and if we can break the top of that hammer we are buyers as the market should then go to the 1.28 level, followed by an attempt on the 1.30 level. We have no interest in selling, and even if we break below the bottom of the hammer, we think there’s going to be plenty of support down at the 1.20 handle as well. The NZD/USD pair tried to break out during the course of the week, but turned back around at the 0.76 level. With that, the New Zealand dollar should continue to go lower given enough time and we believe that a move below the 0.75 level since this market looking for the 0.72 level. Ultimately, we believe that the New Zealand dollar will continue to suffer at the hands of the US dollar, and a softer than expected commodity markets. Because of this, we believe that this market will in fact break down, and it will more than likely break down below the recent lows and head to the 0.70 level as well. We think that rallies continue to offer selling opportunities as well, as we see a significant amount of resistance above. The area above the shooting star shows all kinds of resistance, and as a result we think that it’s not until we get well above the 0.80 level that we can even remotely think about buying. If we do see that, this market should continue to go much higher and at that point in time we feel that it would be a bit of a trend change going forward. Remember that the Royal Bank of New Zealand has recently stated that the level that they are comfortable with in this particular market as the 0.68 level, as it is now considered to be “fair value.” Ultimately, there will always be the threat of the Royal Bank of New Zealand getting involved in the market yet again, selling off the Kiwi dollar like it did a couple of months ago. Because of this, we feel that the New Zealand dollar will continue to have a bit of a black cloud above it, and with that we have no interest whatsoever in buying. We believe that both short-term and long-term traders will continue to apply pressure to the Kiwi dollar going forward, and therefore we expect quite a bit of selling opportunities over the course of the next several weeks.